Farmers are being urged to change their practices in order to reduce agricultural pollution. These changes may affect working times and organization, and farmers often mention this to explain the difficulties they have in adopting a new practice. But little is known about the work-related changes (e.g., working time, organization, skills) engendered by a change of farming practice, or about the information that farmers need for deciding on and implementing a new practice. 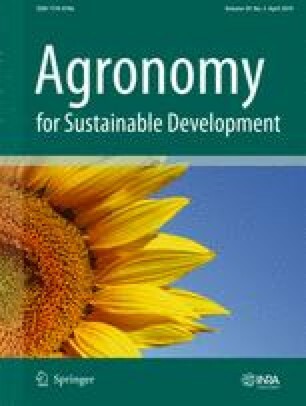 In order to design tools to help farmers when adopting more agroecological practices, the objective of this paper is to identify what work-related information is useful to them for changing their practices. We interviewed 16 farmers in France and we then characterized the types of work-related information they had applied. We focused both on changes that were systemic (reducing tillage or diversifying crops) or less systemic (low-volume spraying or mechanical weeding). We performed a qualitative analysis with an iterative method, alternating between gathering data from the farmers and theorizing about what happens on the work front. We then performed a quantitative analysis of the results, based on chi-squared tests, to identify which factors influence farmers’ work-related information needs. Our findings showed, for the first time, that farmers apply a wide range of information about work changes, concerning performance of new operations, resources used, work organization and competition between activities, and the arduous or rewarding nature of farm work. We showed that the types of information needed change during the process of introducing a new practice. In the first phase, farmers gather mainly generic information about the focal operation and the resources required. In the next phase, they run innovation experiments, producing their own information on how their work is changing and how to reorganize it. Based on these results, we suggest some paths for designing support tools. We thank all the farmers who agreed to be interviewed. This study was financially supported by the Loire-Brittany and Seine-Normandie water agencies.